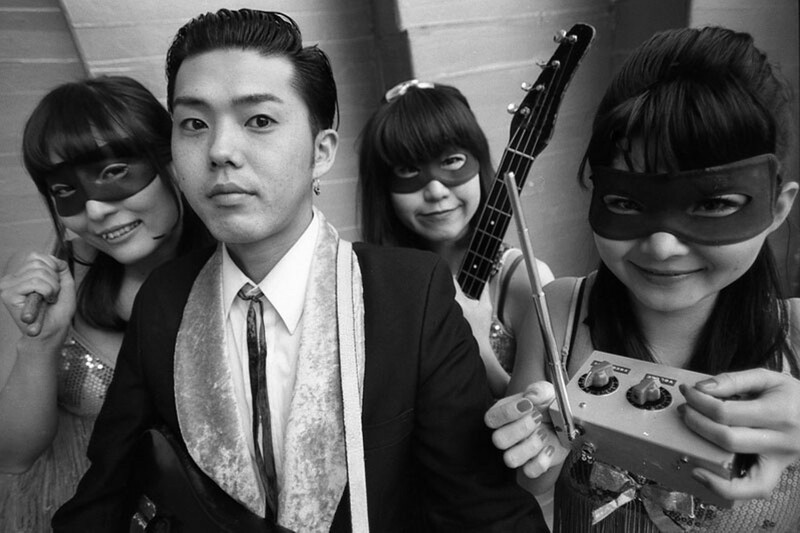 When it comes to the American innovation known as garage rock, no other culture seems to appreciate it quite like the Japanese. Besides being such intensely studious and slavish fans of the genre, as they are with other styles ranging from rockabilly to jug band music, the garage nuts in the Land of the Rising Sun have taken their artistic appreciation to high-art extremes—resulting in the formation of some of the wildest, most enjoyably cartoonish garage bands to ever step on a fuzz box and overload an amplifier. Case in point, the Stompin’ RiffRaffs, who kick their way into the Falcon this Wednesday. The inspired, costume-clad outfit hails from Tokyo and mashes together 1950s rock ’n’ roll with 1960s garage, surf, and frat rock, and modern psychobilly—with the odd squeak, squeal, and squall of sci-fi Theremin. Big fun ensues. The Stompin’ RiffRaffs and special guests the Gold Hope Duo will perform at the Falcon in Marlborough, New York, on November 23 at 7pm. Donation requested. For more information, call (845) 236-7970 or visit http://www.liveatthefalcon.com/.